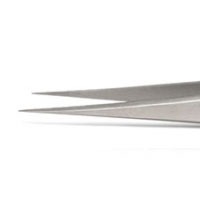 Made of quality stainless steel, these tweezers are useful for general dissections where ultrafine tips are not necessary. These forceps are perfect for students. Economically priced, they are affordable enough for everyone to have their own instruments.